The 2019 Bluegrass Stakes is a great betting race with 14 horses, which should result in better odds on our picks. The favorites look logical, as even minimal improvement on their previous races will make them very tough to beat. Vekoma is the logical choice off his third-place finish in the Fountain of Youth-G2 at Gulfstream Park in his first start off the layoff on March 2. Last year’s Nashua Stakes-G2 winner made a nice move outside winner Honor Code in that race and only flattened out late. He should sit a good trip just behind the pacesetters in here and they’ll have to run to beat him late with top jockey Javier Castellano aboard. Somelikeithotbrown is the really interesting horse in here, coming off back-to-back victories over the Turfway Park synthetic in the John Battaglia Memorial and the Jeff Ruby Steaks-G3, and yes we spelled that correctly. This horse likes to be close to the lead or on it, and he does have some class to him, having finished third in the Breeders’ Cup Juvenile Turf-G1 last year. 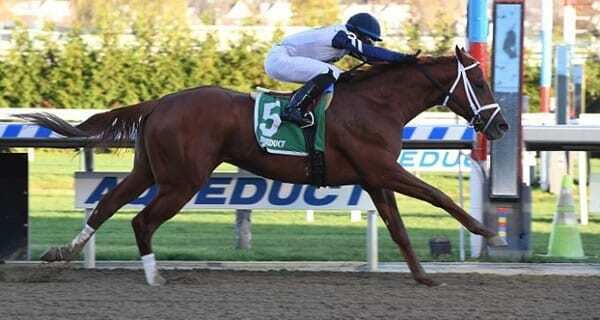 Somelikeithotbrown has also won going the Bluegrass distance of 1 1/8-miles, on both synthetic and turf. The questions is whether he can run on dirt. The only time he ever ran on dirt was in his debut at Saratoga and he finished seventh over a sloppy track. He’s impossible to judge on dirt off that race. In his last race going 1 1/8-miles, he set a fast pace and justifiably drifted in the drive, but still won by 3 ¼-lengths. There’s not a lot of speed in here, and he should be the horse to get by as they turn for home. Win Win Win stalked wide and rallied to finish third beaten 2 ½-lengths in the Tampa Bay Derby-G2 in his last off a two-month layoff. He made his move at the same time as winner Tacitus did in that race and flattened out in mid stretch before coming again late. He should move forward enough to grab a piece of the purse here. The wild card in this race is Dream Maker. In his first start off a four-month layoff he looked dynamite winning an N1X allowance race going 1 1/16-miles at Fair Grounds by 8 ½-lengths, but he then came back to get drilled in the Tampa Bay Derby-G2 and looked lost in space throughout. He also steadied inside on the final turn. He has talent, but whether he has the mental capabilities required to be a top-class racehorse is a question he still has to answer. For our superfecta longshots we’ll take Sir Winston and Aquadini. Sir Winston came flying late in the fast-paced Tampa Bay Derby to finish fifth beaten four lengths. He didn’t really show anything in that race until they got to the stretch, and he might be a bit of a sleeper that just wants to run further than they write races, which makes him a superfecta include as a late rallier that will go the distance. Aquadini fits the angle of second start on the class raise after a good effort, although he steps up yet another notch in this race. His numbers are improving and trainer Dallas Stewart is capable of having a horse like this ready to run his best race. We’ll be tying up our top three horses in the superfecta with our longshots, and will also be using ALL on a few tickets in the third and fourth positions, with hopes that another longshot sneaks into the mix. Big fields mean bigger and better big payoffs. And that’s what we’re here for, right?